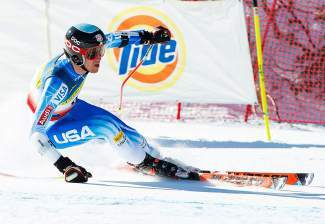 Squaw Valley skier Bryce Bennett was named to the 2015-16 U.S Alpine Ski Team's C Team on Saturday. COPPER MOUNTAIN, Colo. — Fifty-eight athletes, including a dozen from the Lake Tahoe area, were officially named to the 2015-2016 U.S. Alpine Ski Team during a public celebration to kick off the Audi FIS World Cup tour on Saturday. 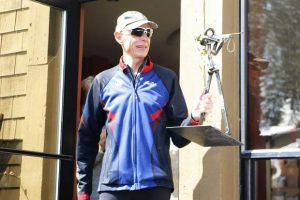 Former Olympic downhill specialist Daron Rahlves of Truckee served as emcee for the day of festivities, which took place at the U.S. Ski Team Speed Center at Copper Mountain. 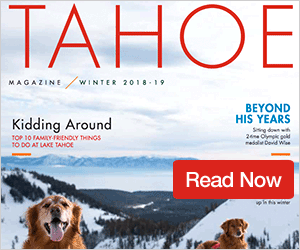 Highlighting the list from the Tahoe area are Olympians Travis Ganong, Marco Sullivan and Tim Jitloff on the Men’s A Team, and Julia Mancuso and Stacey Cook on the Women’s A Team. Mancuso will miss the season due to hip surgery, but has her sights set on the PyeongChang Winter Olympics in 2018. The Men’s C Team includes Bryce Bennett and Erik Arvidsson, both out of Squaw Valley, and Mark Engel from the Sugar Bowl Academy. Lila Lapanja, who skied for Diamond Peak and Sugar Bowl, is one of three members of the Women’s C Team. 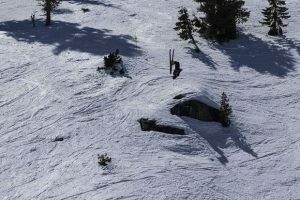 Squaw Valley skiers Addison Dvoracek and Stephanie Lebby are on the rise on the U.S. Development Teams, and Squaw Valley’s Garret Driller, who skis for Montana State University, is one of six members of the new National University Team. After securing the title of winningest female in alpine skiing history with a total of 67 victories, Lindsey Vonn is again making a return to snow after fracturing her ankle training in New Zealand over the summer. Bode Miller will miss the season but remains on the Men’s A Team. World Cup racing begins with the Nature Valley Aspen Winternational in Aspen, Colo., from Nov. 27-29 and continues with the Audi Birds of Prey at Beaver Creek, Colo., from Dec. 4-6.